Labor Day Weekend typically marks the end of summer even though it is still 104 degrees outside. 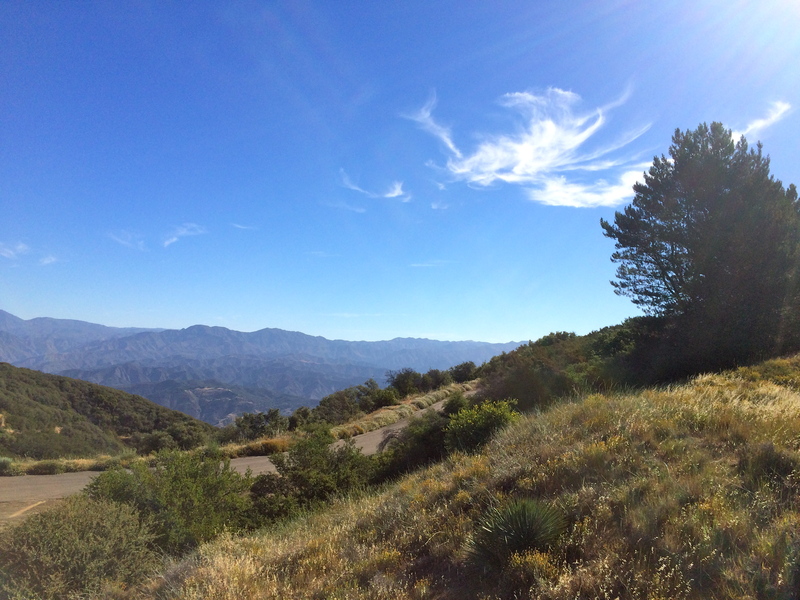 As I mentally prepare myself for the daily schlepping of the kids around town, I look back at five carefree days this summer in California when all of our children were at camp and our biggest worry was where to hike and where to eat. 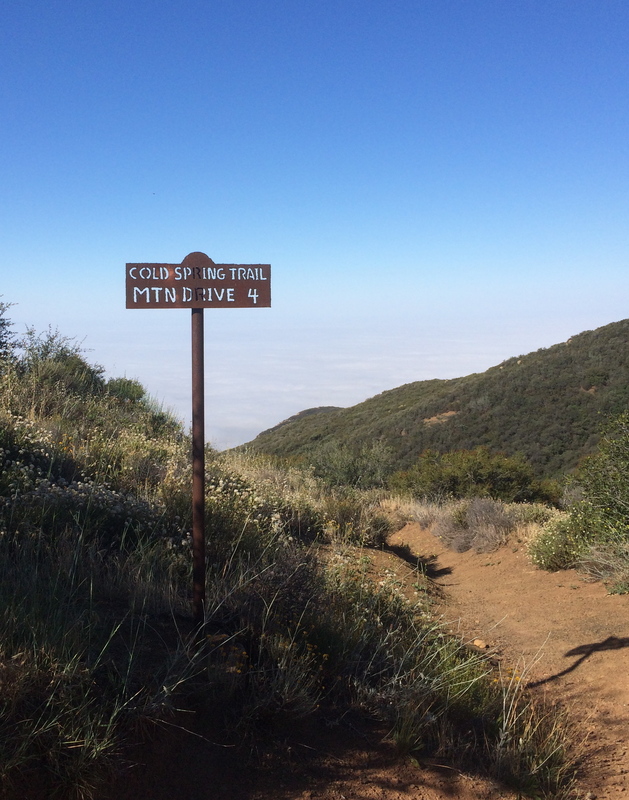 The hills around Santa Barbara offer an abundance of choices for hiking and trail running. When I was training to climb Mt. Whitney a few years ago, Hubby took me on a 10 mile hike that started at the Cold Spring trailhead and ended by the San Ysidro Ranch. 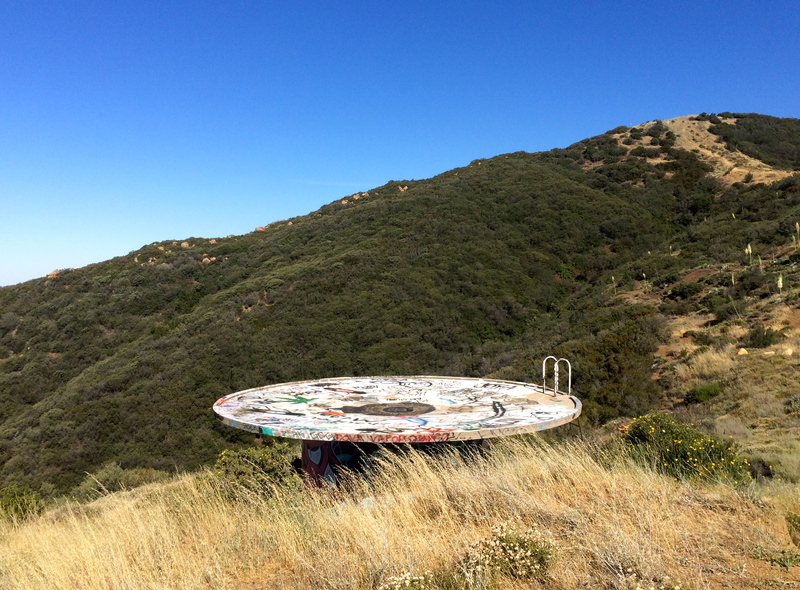 It offers great views and a variety of terrain, so we decided to revisit it this summer, but with a little twist at the end, as we were in it for the enjoyment and not for the training aspect. 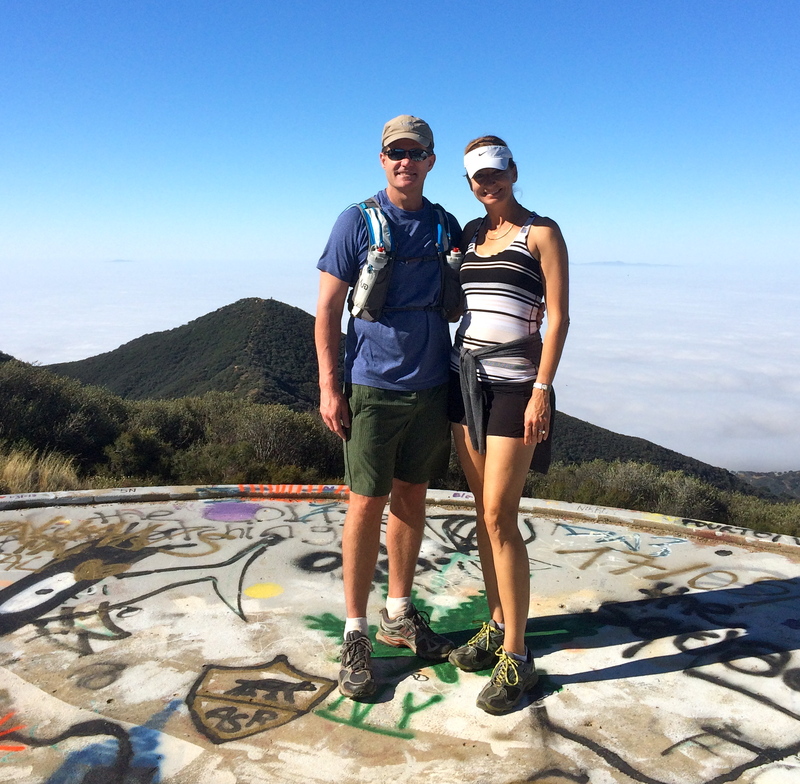 We started hiking in the fog but quickly rose above it into plentiful sunshine. Along the fire road as we make our way from Cold Spring down to the San Ysidro Ranch, there is a concrete disk where some people camp overnight. A view to the north into the Santa Ynez Valley and beyond. It was no coincidence that we ended our hike in the backyard of one of the most beautiful hotels in the US, and that it also happens to have a fabulous kitchen. 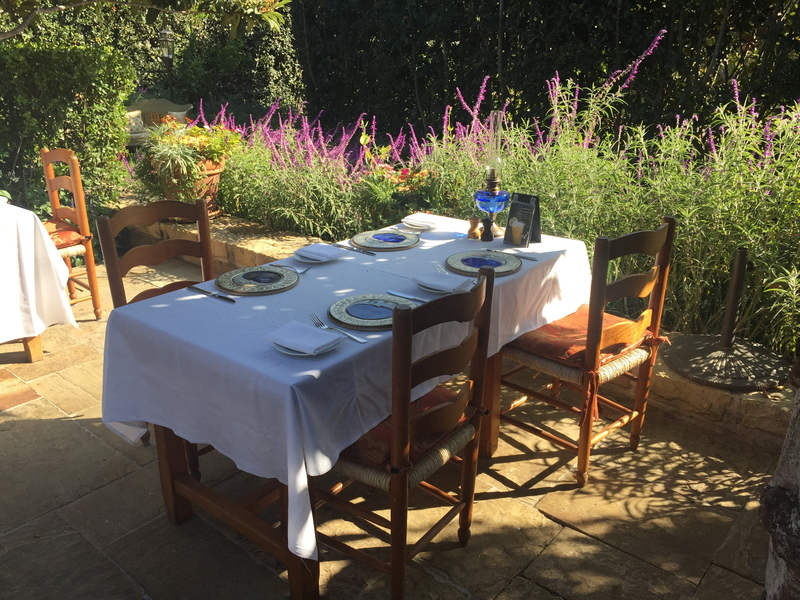 With a cover up and a splash of water on the face, we seated ourselves in a quiet corner of the garden, far enough away from other guests so as not to offend them with our Eau de Sueur, and took to ordering a glass of rosé and some gazpacho. 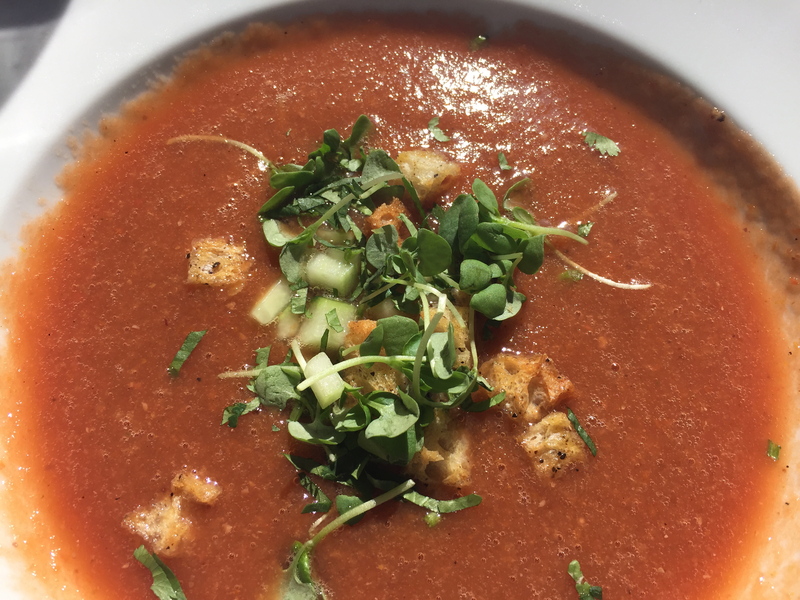 Ok, who am I kidding, I tried the gazpacho, but after a hike like that, I dove into the mac’n’cheese. And then there was the 2 mile walk back to the car to contemplate. Hmmm, more rosé s’il vous plaît! 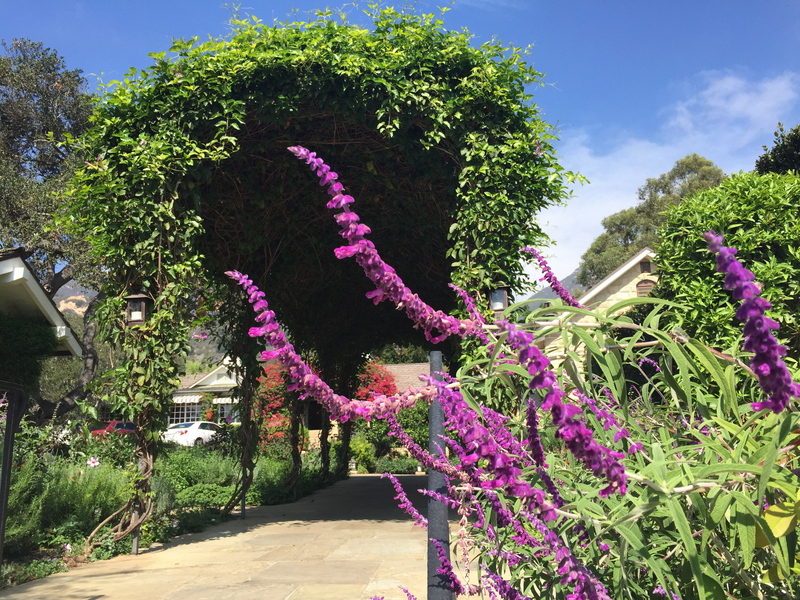 San Ysidro Ranch, the site of many a famous honeymoon, including that of JFK and Jackie. Our table in the garden of the Plow and Angel restaurant. May you have a lovely start to the fall!